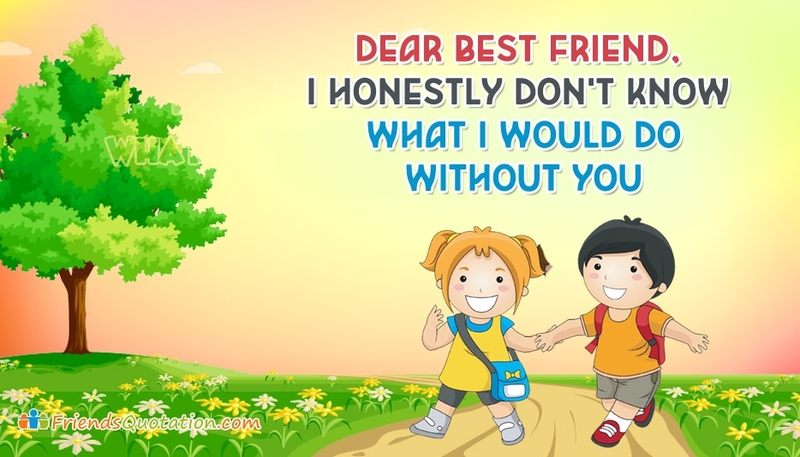 A beautiful friendship message to share with your dear friend. Our friends are our world. When you are with your dear friends you seem to be living your life to the fullest extent. But when suddenly if your friend is about to leave your life, its not easy to digest. Express your sadness to your dear friend who is about to leave you far, by sending this picture with the message "Dear Best Friend : I Honestly Don't Know What I Would Do Without You".